Erica Opitz is a shareholder in the firm’s Atlanta office in the Corporate, Securities, and Finance practice group. Often serving as a client’s outside general counsel, Ms. Opitz assists clients with corporate governance, commercial contract, mergers and acquisitions, and privately-held securities matters. 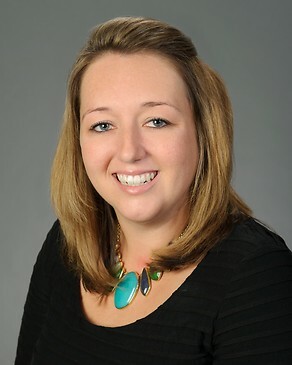 Ms. Opitz also serves as the Atlanta office’s primary drafter of Georgia legal opinions. Ms. Opitz has represented clients across a variety of industries, including the moving and storage, merchant services, certified public accounting, investment management, airplane battery manufacturing, building supply distribution, chiropractic, waste and recycling, chicken processing, fast food, and plastic bottle manufacturing industries. Co-Author, "Letters of Intent Can Carry Unintended Consequences," WardsAuto, August 2017. Co-Author, “Georgia Businesses Don’t Have to Wait for SEC Clarity on Crowdfunding; Invest Georgia Exemption Offers Funding Opportunities,” Hypepotamus, October 2014. Summary of the Tax Relief Act of 2010, Estate & Gift Tax Committee of the Real Property, Trust and Estate Section of the American Bar Association Publication. “Retaliation and Discrimination – One and the Same? A Critique of Gomez-Perez v. Potter,” ABA Journal of Labor & Employment Law, Fall 2009 Edition.